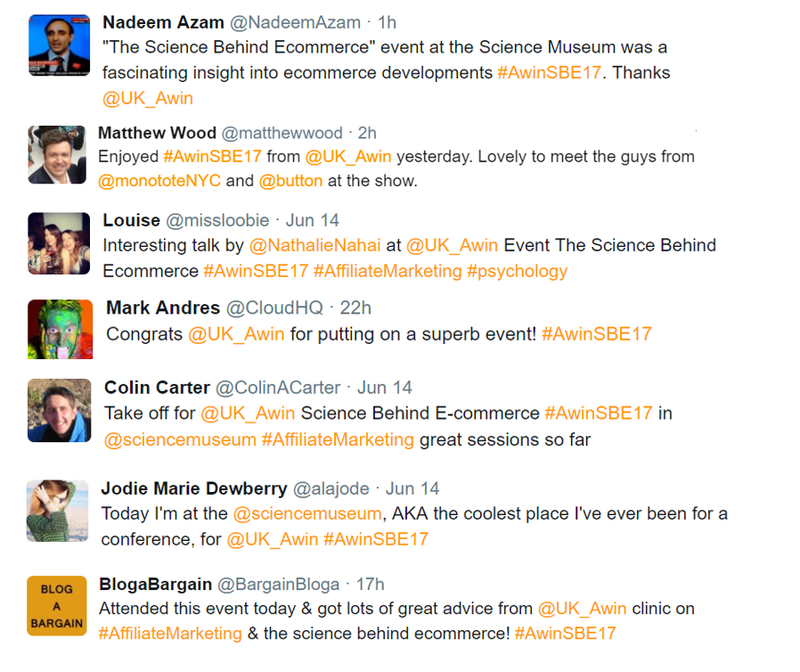 On Wednesday 14th June, Awin hosted their first one-day affiliate marketing conference at London’s Science Museum. Debating the science and theory of online marketing, The Science of Ecommerce aimed to teach and inspire all in attendance. 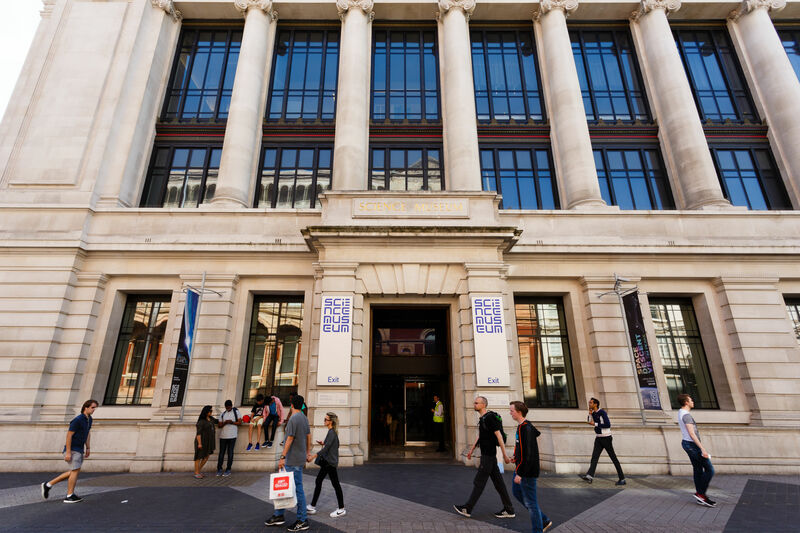 Held between the open plan Wellcome Wing basement and impressive IMAX theatre of this iconic venue, brands, publishers and agencies network wide arrived for breakfast, hours before the museum opened up to the public. With the networking area located in the vast basement space below the museum, breakfast gave guests an opportunity to speak to and visit our event sponsors: Monotote, NMPi, Uniqodo, Deal Moon, Lola Grove, PerformanceIN and headline sponsor Button as they hosted pods in the space throughout the day. This allowed attendees to find out more about how they operate and how to get involved in new opportunities. 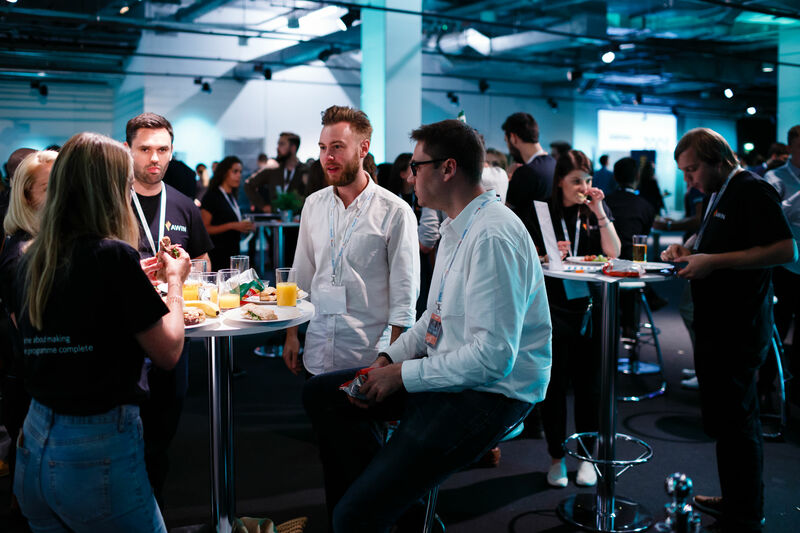 The Awin Clinic was also open for business from breakfast and beyond in a dedicated zone, manned by Awin representatives ready to discuss numerous ‘how to’ topics such as: How to maximise revenues on Awin, How to expand into new markets and How to make your programme 'Complete'. 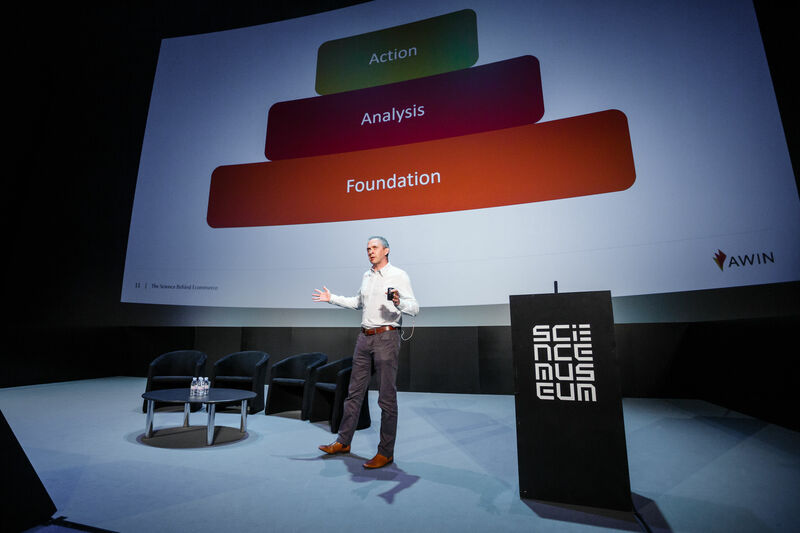 At 9.30am all guests were called up to The Science Museum’s striking IMAX theatre - the hub for all of the day’s talks. 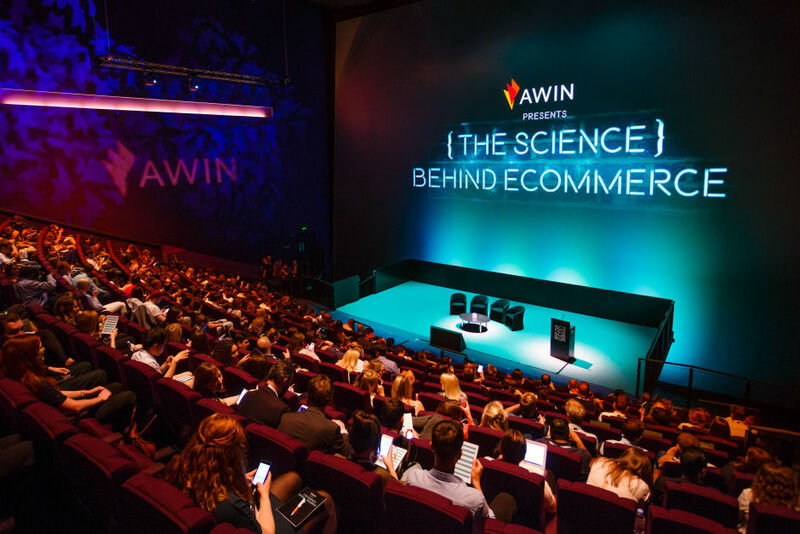 Awin’s UK Country Manager, Ian Charlesworth opened the event with a network welcome, plus an interesting insight comparing popular conversation starter - the weather, to ecommerce, stating ‘In many ways the weather is akin to shopping online. Tricky to predict, seasonal in nature and always changing. Following his presentation, Ian invited the event’s highly anticipated Keynote speaker, Nathalie Nahai to the #AwinSBE17 IMAX stage. 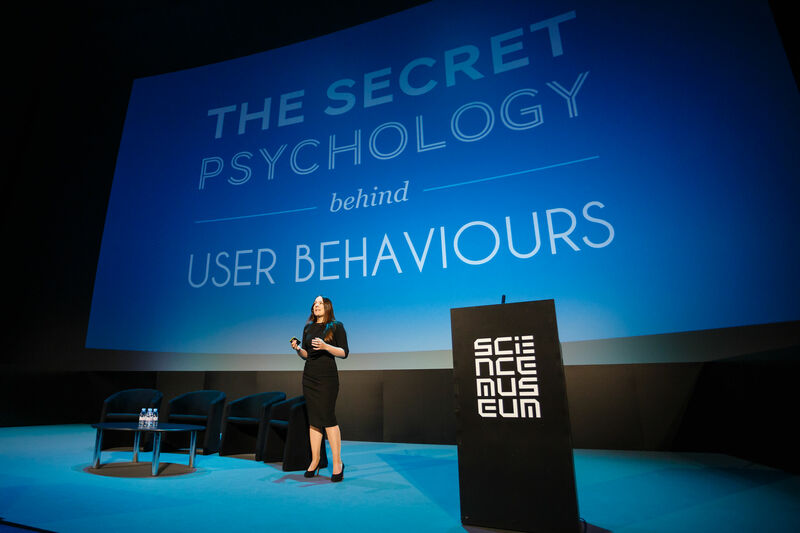 Web Psychologist, Nathalie Nahai had the audience captivated and immersed in the thought process behind online purchasing in her Keynote speech on 'The Secret Psychology Behind User Behavoiurs'. Covering topics and answering the questions on what brands need to do to succeed online, how brands can gain trust from their audience, the importance of perceptual fluency and how cognitive load can affect shopping habits, the audience was left with opened eyes and food for thought, with Nathalie’s closing thought asking ‘what kind of world do you want to build?’. A panel formed of Button CEO and Co-founder, Michael Jaconi and Monotote CEO, Mike Van Geldorp, for ‘Meet the tech’ was the next session on the agenda, moderated by Awin’s Head of Publisher Services, Paul Stewart. The two tech partners displayed in depth video’s on the cinematic IMAX screen explaining how their platforms work before answering questions on universal shopping cart technology and how brands can partner with these innovative businesses. You can view a snippet of the talk here before questions went out to the floor. The first morning break meant the beginning of our speed networking session, sponsored by intu. 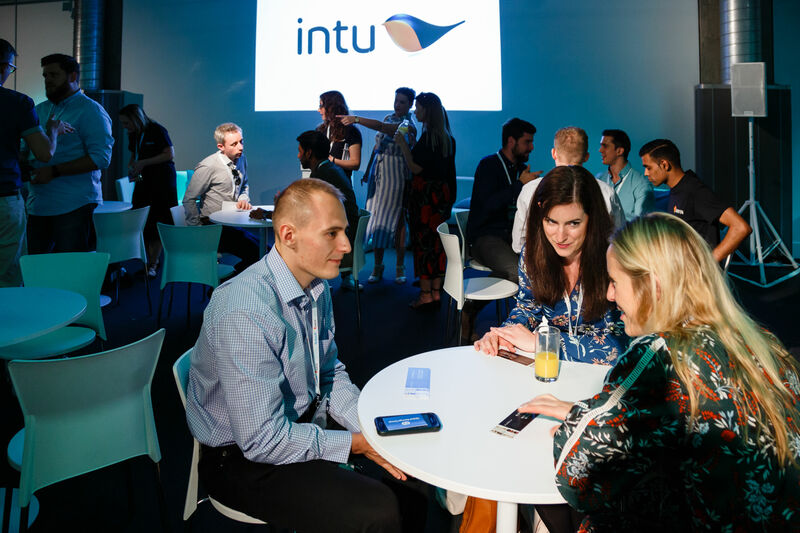 Advertisers and publishers signed up through the event app, sponsored by Anglian and provided the opportunity for guests to get to know each other within a dedicated seating area. As a result a lot of new opportunities have already been discussed – a well utilised break we think. 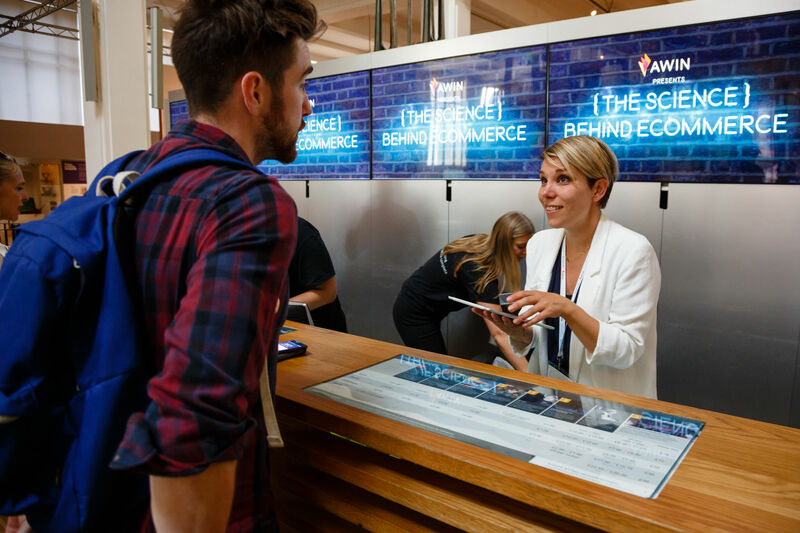 Ecommerce Specialist, Richie Jones took the IMAX reigns from Jess and provided a more personal insight into the industry. Starting as an agency founder to now brand owner, Richie discussed how important it is to react to changing conditions within the digital landscape and making the correct business decisions based on this knowledge. Stating how ‘sometimes you need to look beyond the channel to identify challenges and changes’. Adding a futuristic element to talks before the lunch break, Awin Content Analyst, Rob Davinson embraced the identity of the venue and one of its current exhibitions, showcasing Robots and the quest to make machines human. Linking this to changes within the travel industry and its ability for technology to transform the consumption of travel products, Rob discussed how important technological developments have been. Since the printing press in the 15th century and first mass production of car lines from Henry Ford, the audience gained insight into how some travel companies are beginning to use VR headsets to offer a virtual experience of a destination prior to booking. Identifying how quickly these advancements are coming into play, Rob shared how robot tech in the sector is already happening in some parts of the world, including the use of robot butlers created by Savioke and being used in Starwood hotels. The lunch break enabled guests to continue networking, visit sponsor pods and book in at the Awin clinic via the event app. 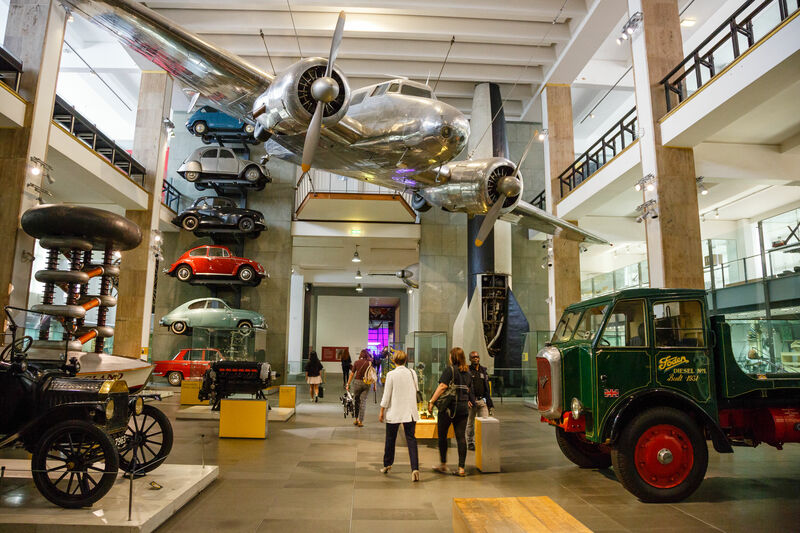 What’s more, for those who wanted to stretch their legs, this break also opened up some time to visit nearby exhibitions within The Science Museum. Returning to the IMAX at 14:30, the penultimate session of the day was ‘A Guide to Internationalisation' formed of Awin’s Global Account Management Director, David James and Rich Parsons, Global Client Services Manager, alongside Simon Hofmeister, Senior Affiliates and Partnerships Manager at Asos.com for the Q &A session. 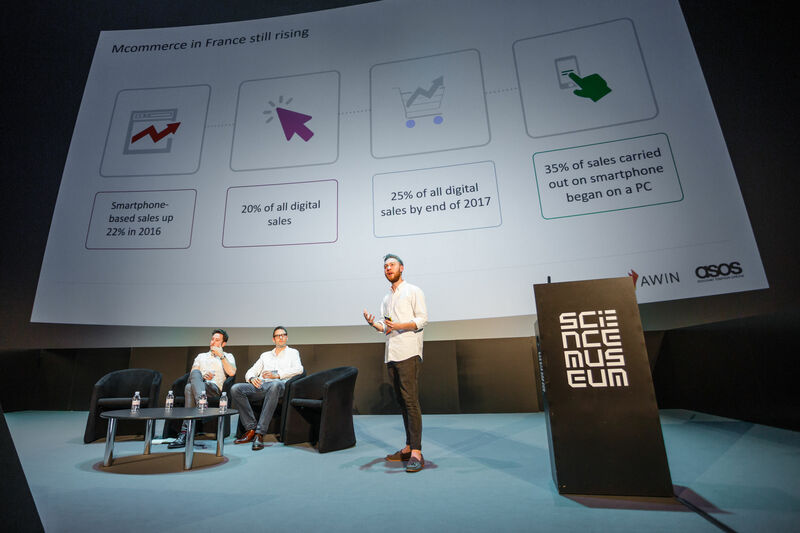 Identifying the global value of affiliate marketing to be over £10bn, the session looked at performance on a local level, such as how Mcommerce in France is rising, accounting for 20% of all digital sales. When looking into exploring new global markets with your programme, Rich expressed how important resource budget, non CPA models such as tenancy, CPC and Post View are, stating that you must consider the maturity of each market. 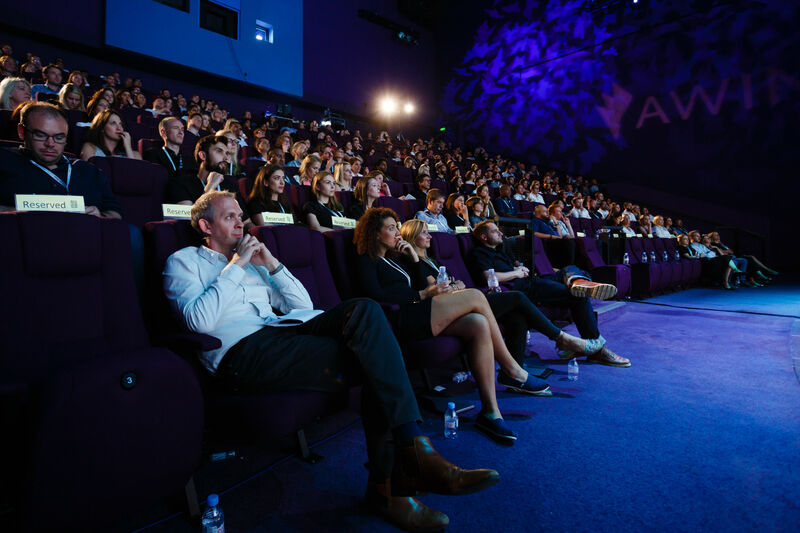 Simon supported this by stating how the biggest challenge ASOS face in new local markets is brand awareness and how a lack of it can make negotiations difficult. The day’s final speaker, Emma Moorman, Senior Product Manager at Hitwise, closed the talks on the IMAX stage and got all of the telco attendees on the edge of their seats as she delved into Hitwise data on sim-only searches in her ‘Consumer Behaviour in a Telco World’ talk. With 48% of sim-only searches in May 2017 coming from people in a contract and 39% from PAYG users, the topic on debate was around the demise of the contract user, with sales expected to keep declining YoY. Find out more about all of the guest speakers who took to the stage over the day. We would like to say a huge thank you to everyone who attending the first event of this kind from the Awin network and to all of the day’s sponsors. We’re so pleased for you all to be a part of it. We look forward to seeing you next year already and if you’d like to see more snaps and videos from this year, head to our Instagram page with professional photos and a video of the event to follow.